Have your child follow instructions as you work together to pack items for the beach or the pool, e.g. “Put the goggles in your bag.”, “Give me the big, green towel.” Start with simple instructions and as your child masters this, work towards longer and more complex instructions. You can also talk about the function and use of each item (particularly with the older children). E.g. 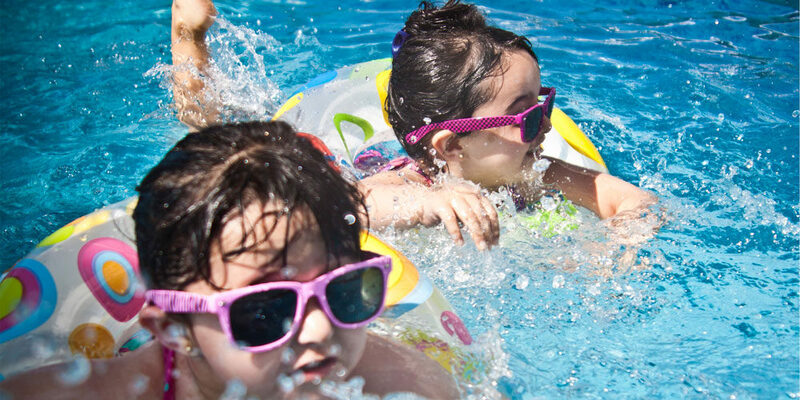 “The sunglasses are for protecting our eyes from the sun.” or “The bucket and the spade are for digging in the sand.” Encourage them to tell you about the use of some items or give them a choice of two if they need some help. Use a lot of action words to talk about what you or your child is doing, e.g. “Johnny is digging a hole” or “Mummy is putting on sunscreen.” It is important that they hear these words but it is not a must that they repeat what is said. Continue to comment on what they do throughout the day. You can also introduce different concepts such as ‘sink/float’, ‘clean/dirty’, ‘wet/dry’, ‘hot/cold’. It is important that your child gets a chance to see these items and feel them if possible, e.g. wet – swimwear, cold- ice-cream, float – ball on water etc. It is nice to recount your fun-filled day with your child. Where and when possible use photographs of the different activities throughout the day. For younger children, you could say “Johnny had ice-cream at the beach”. For older children you could encourage them to use first, next and last to form a response about what they did. Ultimately, have fun! Let your child explore as they learn best through hands-on experiences. Have a wonderful summer and stay cool!